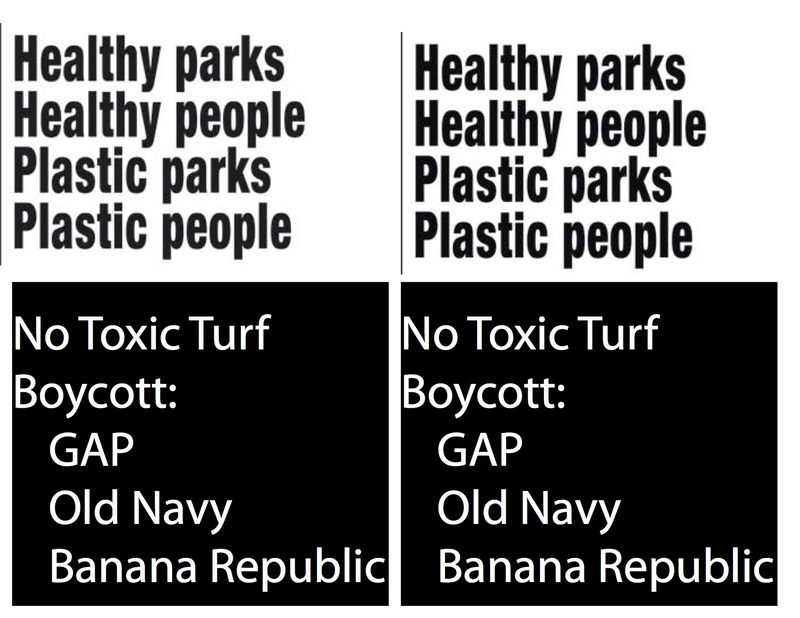 Stop the Inequality GAP (Old Navy, Banana Republic). Protect San Francisco’s Urban Environment. Protect San Francisco’s Parks from Privatization. • 99% of San Franciscans Use our Public Parks. The 1% should not Own them. Investors in our parks, GAP BillionHeirs, the Fisher Brothers, have a Private Foundation called City Fields. They trade “donations” for political favors, prestige, and All-Access Passes to San Francisco’s City Hall. They want to privatize Our Parks. The Fishers and their friends at Rec and Park want more Pay for Play. The Public is left out of the Real Process. • Worse, they use children (soccer kids, let SF Kids Play) to perpetrate this privatization scheme. That’s wrong. Under the pretense of “more play time” for soccer, they are turning all of San Francisco’s natural grass fields and playgrounds into Toxic Waste Tire and Plastic dumping grounds. In the New York Times it was called “an inventory scam” and a “vector marketing scheme”. • Worse yet, anecdotal evidence supports the facts that these fields and playgrounds cause Cancer and Developmental Disorders in young people. That’s why Congress, State Legislators, Coaches, Parents, and Athletes are calling for further studies and moratoriums on the use of Toxic Waste tire products on playgrounds and playfields. 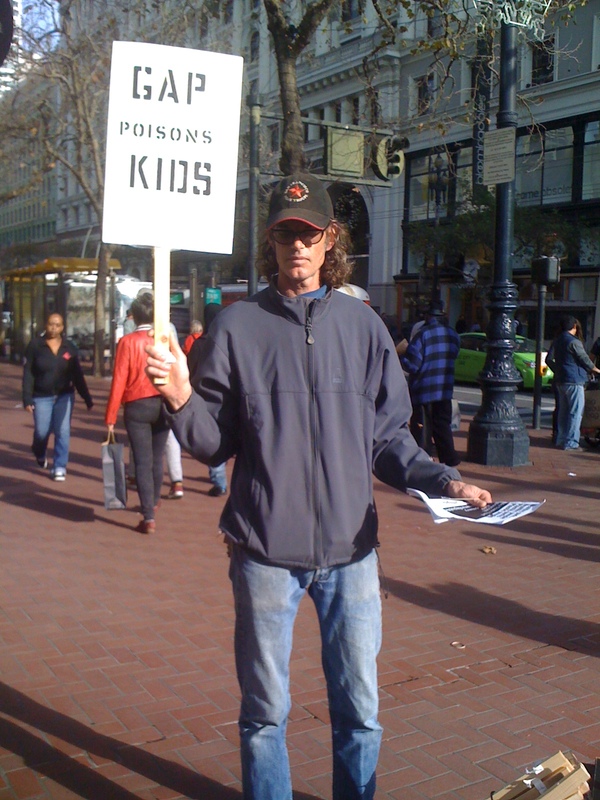 The Fisher Brothers and SF Rec and Park don’t care about this Public Health Threat. They have private contracts with their friends and get kickbacks from CalRecycle to turn our parks into hazmat dumps and take care of California’s Toxic Waste tire problem. • It’s necessary to hold our elected and appointed officials accountable for their roles in the decision-making process. Citizens should be a Real part of that process not part of their retail politics sideshow. Let’s tell them their oaths of service are to All of Us, not just their billionaire donors. Let’s tell them Our Parks are Not For Sale. Let’s Not let our Parks, our fields, and SF Kids’ Play be Privatized. Let’s tell them we want Safe, Healthy Parks to Play and Conduct the Business of Living. Let’s Keep it Real, in Our Parks, and Our Halls of Government. • There are other brands. The Fisher Brothers are among the top 2500 richest people on the planet. They don’t need your hard-earned money. They’re Billion-Heirs. Invest your money in products made with pride (not in sweatshops overseas) and keep your cash out of the Dark Money Revenue Stream that has infected the Democratic Process. The future will be brighter for All of Us.